The weather is playing havoc with the National Hunt game at present, meaning we’ve lost a chunk of cards over the past seven days. Thankfully, however, Sandown and Leopardstown saved the weekend for us, albeit day two of the Dublin Racing Festival did see an insane amount of non-runners due to the ground turning ‘too quick’!?! Strange world we live in these days…but at least we got some jumping action to cheer, empty days of National Hunt action can drive a person doolally!? It’s amazing to think that the last race Joseph O’Brien’s 7yo won was the 2016 Triumph Hurdle, where he beat none-other-than Apple’s Jade…and boy how they’ve gone their separate ways since that day!! Ivano Gorb (as I shall now call him!) has gone 24 races without tasting victory since that Triumph Hurdle…eh…triumph, but he went mighty close to snapping that losing run in Saturday’s valuable Ladbrokes Hurdle at Leopardstown, going down by only 1.5L in third come the line. He has shown (very) occasional flashes of his former self since that glory day of his back in 2016, only to fail to follow it up in subsequent starts, but there was something more about this most recent effort, something that just hinted that he was ready to find his way back to the winners circle. It helps, of course, that he’s on a career low mark of OR 134 but based on Saturday’s effort that does look like a mark that can finally see him be competitive again. It’s also worth noting that the bottom rated horse in the last two Cheltenham Festival County Hurdle’s has been OR 133 & OR 134 and given that Ivano Gorb has run in the race the past two years you’d have to think it will again be the target for this spring. If you also consider he finished a 3L 6th in the 2017 County Hurdle then the fact he’ll be able to run this year from around 16lbs lower is nothing if not a massive bonus. The one defeat in that form line being a race he actually won, but ended up being demoted to second. Doesn’t matter how you shake that, those are impressive stats, stats he added to with imperious ease when landing his second Dublin Chase at Leopardstown on Saturday. The ‘problem’ comes when he goes on his travels and/or in the spring. His other four starts have come at the Cheltenham Festival (X2), the Aintree Grand National Festival and the Punchestown Festival, where he has returned a form line of 2-2-2-4 (0/4, 3p). But am I possibly being a shade unfair on the 8yo? The two Cheltenham defeats came behind Altior. The Aintree defeat came by the slim margin of a neck. The Punchestown Festival defeat…well it actually was a bit of a bomb out but then again he had been to both Cheltenham and Aintree so he was maybe feeling the pinch. Things will become trickier for him in the spring, no doubt on that score, and I probably wouldn’t be as keen to be backing him as I would in other months, but when he runs on home soil between November and February the facts are that he’s pretty much impossible to stop. Ted Walsh doesn’t have that many runners on the go these days although to be fair he’s had limited numbers on the go for about the past 10 years, but he can still ready one if he needs to and I get the feeling that’s exactly what he’s doing with KILDORRERY. The 6yo ran in the 2m1f Grade B Handicap Chase at Leopardstown on Saturday and it’s fair to say he was never put into the race with any real gusto, bobbing along at the back of the pack before making ground late on to finish a never nearer 4.5L 6th. It was very similar to how ran on his previous start at Fairyhouse on the 12th of January, which was another race where he popped along out the back for most of the contest before picking off some runners in the home-straight when the race was long gone. He strikes me as one that ideally wants to be racing over longer trips, given how he’s picking off runners for fun in the closing stages, and I wouldn’t actually be surprised to see him have a stab at something like the Irish National at some stage. Whether or not that would be this year is hard to say but he’s certainly one that looks to have plenty more to give, especially when the handbrake is fully released, he looks like he could be plenty better than his current mark of OR 133. With the 2019 Cheltenham Festival just over a month away I’ll shortly be releasing a FREE Cheltenham trends guide to all members of the FREE NTF list. My ‘Ten essential Cheltenham Festival trends you NEED to know‘ guide is a must read for anyone that’s serious about making a profit at this years meeting. Make sure you are in line to get your own personal copy by >>> hooking on to the NTF FREE list today. *Special Tiara picture was taken by racing photographer Michael Harris. You can see plenty of his excellent work on his twitter page. Thanks, always great reading. Will follow Kildorrey closely. Thanks Martin, appreciate you taking the time to say so. Thanks for all your free information which is very rewarding and fascinating. The only reason I’m not with your main service is purely financial ( O A P, still with mortgage and loans.) . Keep up the excellent work and thanks again. Appreciate you taking the time to comment and superb to hear you have been enjoying the free blogs/guides. You never know, maybe one day the info on the free blogs/free guides will allow you to be a mortgage free O.A.P (no promises, obviously! 🙈😁). I hope you continue to enjoy the site for many years to come. Got the impression that you were somewhat offended by my last post Ben, (when I reminded you of your emphatic denunciation of Native River for the Gold Cup) but let me assure you I was only teasing! Honest. So which race do you think for Cheltenham? No, I thought you were teasing, not always easy to get across exactly what you mean/how you mean it (tone wise) in a comment (I agree my reply did maybe seem like I was a bit peeved at you, I was probably just rushed in my reply, I think Mrs NTF had plans for us…probably shopping 😫😫). La Bague Au Roi has been exceptional this term, just fantastic placement from Greatrex. As for Cheltenham, she is surely unlikely to go? Which I think is probably the wise decision, she’s proven you don’t need to focus solely on the festival to bag decent races (two G1’s already in the bag). yes, a great run from La Bague Au Roi – it looks like Aintree is the target as she’ll prefer the track AND (most importantly) she’ll get the extra 3 weeks break. Kildorrery has gone into the ‘tracker’, thanks for your spot. It would be good to see him over 2 1/2m – he’s twice run over that trip (1st and 2nd). Cheers for your ‘What We Learned… ‘ notes – always very interesting. Many thanks Alan, glad you have been finding the WWLFTW posts of interest to you. La Bague Au Roi has been outstanding this season and yes, Aintree would probably suit her much the best and makes sense to aim her down that route. I have backed that Ted Walsh horse the last twice fingers burnt.But I do feel there is something in his mind but Ruby has twice over done the waiting tactics and I think the cat is out of the bag I fear now won’t get much of price in future.One last not I feel Tony Martin has a plot in mind for tudor city on Saturday never put onto race but was stayimg on nicely through beaten horses on home straight. I suspect Ruby was under instructions to hold him up, suspect those last two races were not ‘the plan’. Hopefully he’s skipping under the radar of most and the price holds up in future. I always enjoy reading your WWLFTW(!) notes and I like your various angles. If you think Father Ted has an obvious plot in Kildorrery (a village in Co. Cork) wait until the money arrives for BATCIO-subject to the gentlest persuasion I’ve seen in many a day at Tramore on New Year’s day. So obvious, in fact, thats its become something of a cause celebre here in recent weeks. Owned by a so-called professional gambler (read, bookie) he will get anyone’s summer holiday expenses in due course. Thanks David, appreciate those comments. Interesting notes on Joseph OB’s previous G1 winners, either he’s getting better at training his G1 horses or Le Rich is a damn good horse! Either way, it’s an interesting stat, cheers. Glad you’ve found the free posts beneficial always great to hear. I plan on having some great free content for you all in the lead up to the 2019 Cheltenham Festival (and beyond!). 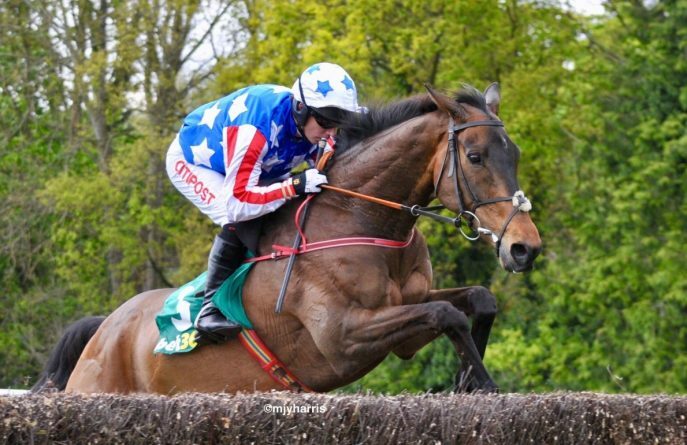 Ivanovich Gorbatov is certainly one to watch, they have been trying to get a mark for him for a while, been racing on unsuitable soft ground more often than not and not really put into his races being held up the rear of the field. He raced much more prominently on Saturday. Although the county would certainly look a great option especially as it looks like there is a very good chance of a good ground Cheltenham I fear that that Saturday was supposed to be the day to cash in. He was 50/1 early prices and returned 16/1 SP. Yes, I must admit part of me does think that Saturday was potentially meant to be ‘the day’ but hopefully they can go again with him as he shouldn’t get put up too much for Saturday’s run and he’ll still be on a very workable mark. Great read Ben, as usual. The Irish should have a field day(s) at Chrltenham-again! No doubt the Irish will be firing in the winners over the 4 days again, it’s the only way they know how!! Completely agree, the Triumph is a very demanding race for the youngsters, can ‘leave a mark’ on some, often see runners from the race struggle for form the following season before spring back to life the season after, albeit some never rediscover their juvenile form. I also enjoy your postings. La Bague Au Roi, unfortunately for me, got first run an Kaiser Black. The Kaiser had been on my tracker since he romped home in Roscommon during the summer. Had his jockey waited a little longer on the final bend instead of losing ground on the outside he may have snatched it on the run in. Any thoughts on Kaiser Black in relation to his ratings, and would he be a possibility for one of the nationals? Was a big effort from Kaiser Black against the mare. I wonder if his fitness maybe just stopped him landing the race on Sunday, was his first run for quite some time.